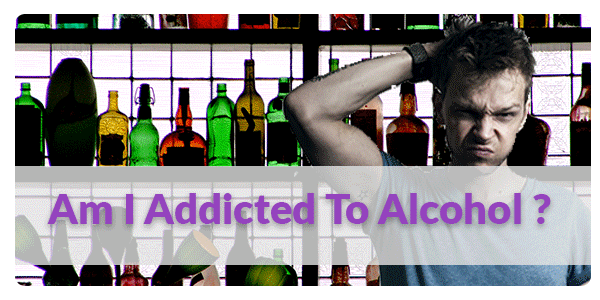 Have you Asked The Question: Am I Addicted To Alcohol ? While drinking every once in a while during a party or a celebration could be relaxing and fun, it's always a good idea to keep in mind that alcohol is not healthy and consuming it in large quantities can hurt your liver severely. Alcohol is like a drug; with its sedative and euphoric effects, it can cause addiction with long-term use and thus, a lot of health problems. But how can you know whether you are a regular drinker or you are passing the limits and getting close to addiction? Fortunately, your body gives you several warning signs that give you a red light that you should look out for yourself. While this can be ok to do every once in a long time, some people may cross the line and have drinking become their main source of comfort after every hard day. This can easily lead to addiction, as when would life troubles stop at all? In fact, alcohol can increase your troubles and spoil your relationships with family and friends, further adding to the stress and social problems. If you've ever been arrested because you were driving when drunk, or you almost had an accident during that or you continue to drink while on prescription medications despite your doctor's orders, this indicates a problem. A normal consumption rate wouldn't cause such troubles but continuing to drink in such situations indicates that your alcohol intake isn't within the normal range. If we're talking more about physical signs, this is the first and major sign that you should look out for. If you find that you need larger amounts of alcohol to feel the same effects, this is a strong sign of tolerance which can only come with high continuous alcohol intake. The good news is that this is an early warning sign so if you notice this on yourself, there's still plenty of time to take action. The second major sign is experiencing withdrawal symptoms whenever the alcohol starts to leave your body. Unfortunately, this is a bad sign and if it is so severe that you are starting to experience hallucinations and seizures, then you need to contact your doctor to get professional help as soon as possible. Otherwise, the symptoms could be mild in the beginning, presenting themselves in form of sweating, headaches, nausea, fatigue and irritability. In any case, withdrawal symptoms are a serious sign of alcohol abuse. Do you realize that alcohol is becoming an important part of your life that it's taking place of other social activities? Do you want to quit but you can't? Are your family and friends starting to make comments on how much you drink? Is drinking to start to get in the way of your routine and daily activities? If the answer to any of the previous questions is yes, then definitely, this is a sign that you are becoming addicted to alcohol. To sum this up, if you have any doubt that you are drinking more than you should or that alcohol is becoming more important in your life than it should be, then your instincts are probably correct and you should take action to reduce your intake. It's never a bad idea to look out for your health no matter what.